If you're in the market to buy a car, you may be aware of the many benefits attached to having a down payment. 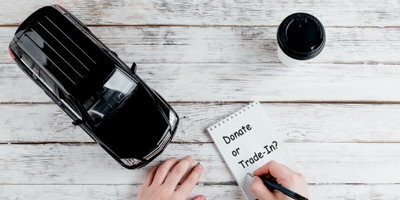 Of course, knowing that you should have money to put down on your vehicle and actually finding a way to come up with extra cash are two different things. Luckily, there are few easy things that you can do from home to generate extra income. 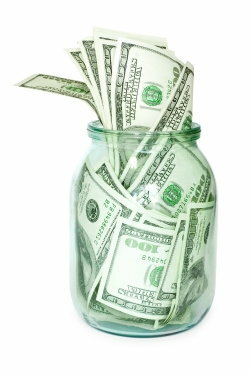 Budgeting and cutting back on unnecessary expenses is a great way to save money for a down payment. And if you want to get to your goal faster, you can generate more cash by getting creative with your spare time. "Babysit" Whatever or Whomever Requires Care. There are plenty of parents out there who occasionally need reliable child care. If you're good with kids, become the "go-to" person for when parents want an evening out. Even if you're not interested in looking after children, many elderly people require the same kind of attention. Or, are dogs more your style? Offer to watch your friends' pets when they are at work or out of town. Speaking of going out of town, house-sitting for an absent home owner is always an easy way to earn a few bucks. This will accomplish two things. First, you will make some money, and, secondly, you will have the opportunity to clear out some clutter. Granted, your "clutter" may include some very useful and/or valuable items. But if you aren't using these things, they're just in the way. There are several different ways to post your items online. Ebay and Craigslist are two of the most popular selling sites. Ebay is huge, but some people prefer Craigslist. This is for a few reasons: Craigslist doesn't take a percentage of your profits. They're not an auction site (so you usually get your money faster) and selling here typically entails meeting the buyer in person. Make Items to Sell Online. Are you crafty? Is there a special something (earrings, pet collars, knitted blankets, etc.) that you make well? You may find a high demand for your handmade wares on Etsy, an online retailer that specializes in hosting artisans and their goods. Just remember that competition can be pretty stiff for things like jewelry and candles. Try to create something truly unique like a hard-to-find costume piece or a line of natural and organic toiletry items. If you just don't have time to sell items one at a time online, take a day and throw out everything you have to offer at once. If you advertise your garage/yard sell well in advance, you will probably be surprised by how many people show up. Price your items to SELL, and make sure that prices are clearly marked. Be ready to negotiate, and make sure that everything is neatly and attractively displayed. Create a fun atmosphere with music and simple refreshments. Offering lemonade and cookies is a great way to put shoppers in a good mood. This is only a good idea if you're VERY committed to the idea of making extra money, and if you have room to spare. Not everyone is comfortable with sharing living space with a virtual stranger, so make sure that you’re ready for the challenge before advertising for a tenant. When you put out your post or flyer offering a room for rent, make your stipulations very clear. Are you looking for a male or female boarder? Would you prefer a non-smoker? Maybe you're not interested in someone who keeps irregular hours. You should also have a background check performed on any individual whom you are inviting to live in your home. Just remember that, while making money on the side will help you save up a substantial down payment, you will also need to watch your budget and spend wisely while in the process of saving. 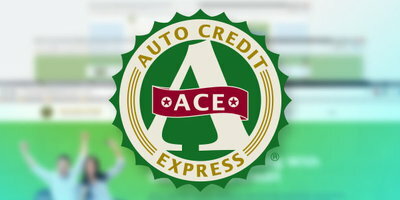 When you're ready to buy that new or used vehicle, Auto Credit Express is ready to help you get approved for an affordable auto loan. Even if you have moderately or severely damaged credit, we can connect you with a dealer who can work with your situation.